Blizzard has posted three pieces of holiday card artwork on their concept art page, and in addition to a much larger version of the multi-game scene we posted last week, there’s a new piece with a Santa whose “naughty” list you do not wish to end up on. 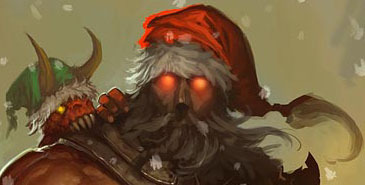 You see him and one of his little red elves to the right; click the image or click through to see the full sized piece. 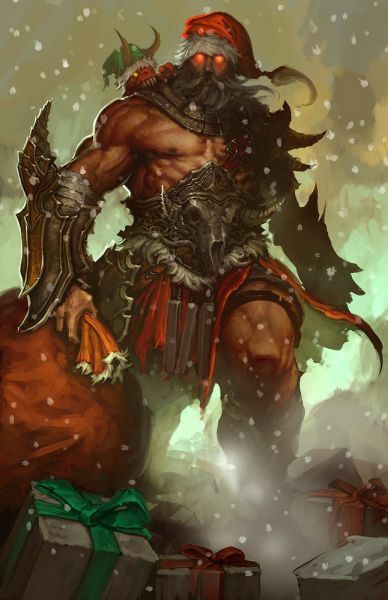 Interestingly, Barbarian Santas are something of a theme, with an original piece and a bit of photoshoppery exploring that theme already in our fan art gallery.